Will FC Barcelona Leave La Liga if Catalonia Gains Independence? FC Barcelona stand firmly among the giants of the football world, a club with a huge global following alongside its passionate home support. Football fans travel from all over the world to Barcelona to see this legendary club. 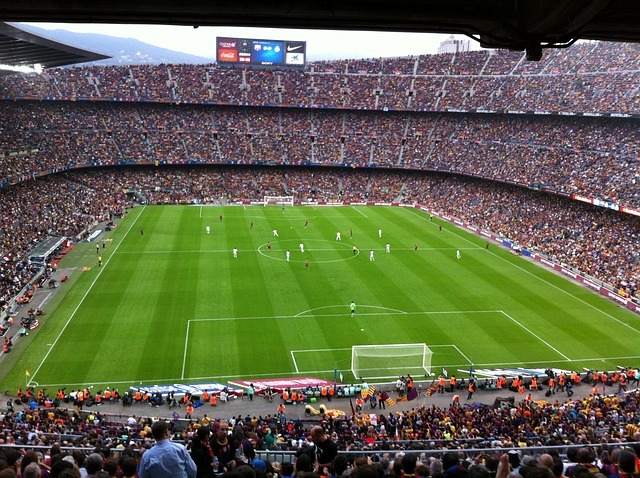 The Nou Camp stadium is an iconic ground, regularly full to capacity for Spanish La Liga and European Champions League games. Yet the unthinkable is starting to be talked about in the wake of the Catalan move for independence from Spain. Would FC Barcelona from Catalonia, the 24-time title winners, have to leave the Spanish La Liga and ply their trade in the newly formed state’s own league? FC Barcelona club officials have tried to stay beyond the political debate during the recent referendum held on Catalan independence, although they did join the National Agreement on the Right to Decide back in 2014. They also refuse to enter a conversation about what they say is just a hypothetical debate on what would happen to the club if independence was gained. However, the President of the Spanish Professional Football League, Javier Tebas, has been more forthcoming, saying that Barcelona cannot choose where it plays. This seems to draw on the existing law that the only non-Spanish participants in Spanish competitions can be from Andorra. Of course, when this law was drafted, Catalan clubs would not have been considered necessary inclusion as non-Spanish participation. The prospect of the massive clashes each season between Barcelona and Real Madrid not happening will be unimaginable to many in Spain. Dubbed ‘El Clasico’, these matches between two of the biggest football clubs on the planet are major highlights of the Spanish and world’s football year. FC Barcelona officials have implied that any league in the world would welcome them, and although this smacks a bit of arrogance, it is in fact probably well grounded. La Liga will not want to lose Barcelona, and Barcelona will surely prefer to stay in the Liga. TV rights, sponsorship and money raised in attendances for other clubs will all impact on decisions. Spain would just need to alter its existing law on non-Spanish team participation to accommodate FC Barcelona if the political will is there. As a European super league is not yet really within sight, the prospects of FC Barcelona playing in another country’s league cannot be overlooked, but would most likely be slim. The English Premier League has been mooted, but precedents have been set on teams who have folded and reformed, and then had to restart outside the football league in the lower echelons of the footballing pyramid. Bringing FC Barcelona straight in to the top flight would be hugely controversial, although if one of the top 6 English sides had folded and reformed it would have been interesting to see if indeed they had been placed so low back down the leagues. Forgotten among all the focus on FC Barcelona is the city’s other La Liga club, Espanyol. Whatever happens to one will surely happen to the other. They either both stay in La Liga or they both ply their trade elsewhere. The natural place for this would be in a Catalan league. Yet with 2nd tier Girona football club and Barcelona B being the next two top Catalan clubs, the prospects for both FC Barcelona and Espanyol playing in such a league seem remote. Ultimately, when the dust settles, the name of FC Barcelona, plus the income that name can generate, will probably determine where they play if Catalonia becomes independent. La Liga without FC Barcelona is something that is not good for La Liga, but it is also not good for FC Barcelona.